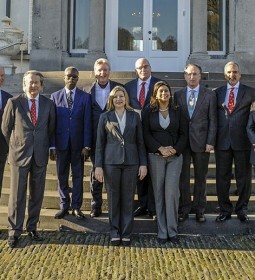 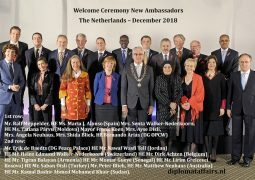 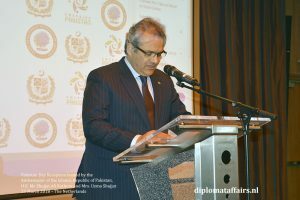 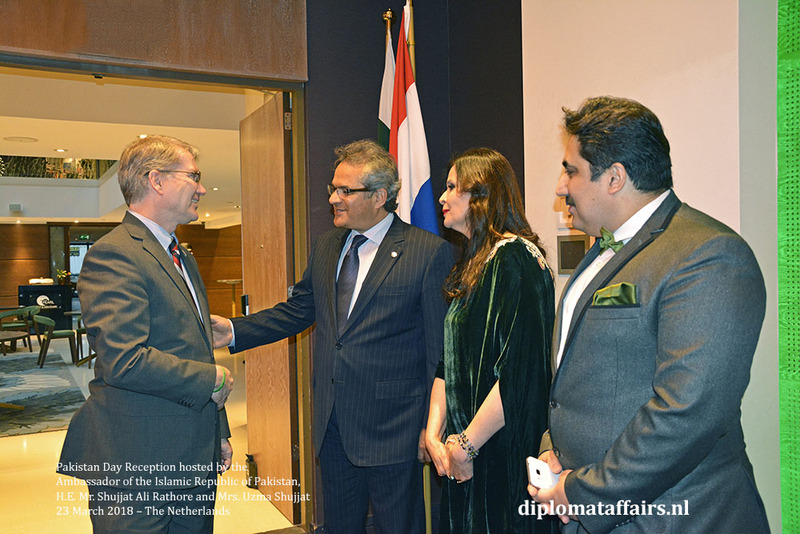 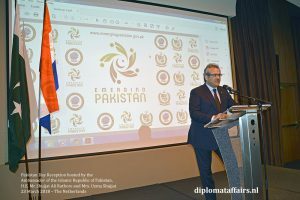 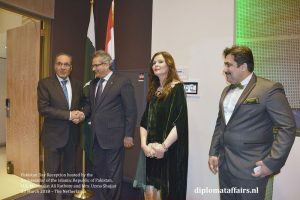 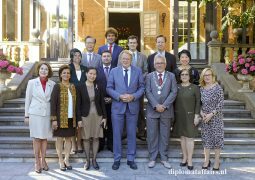 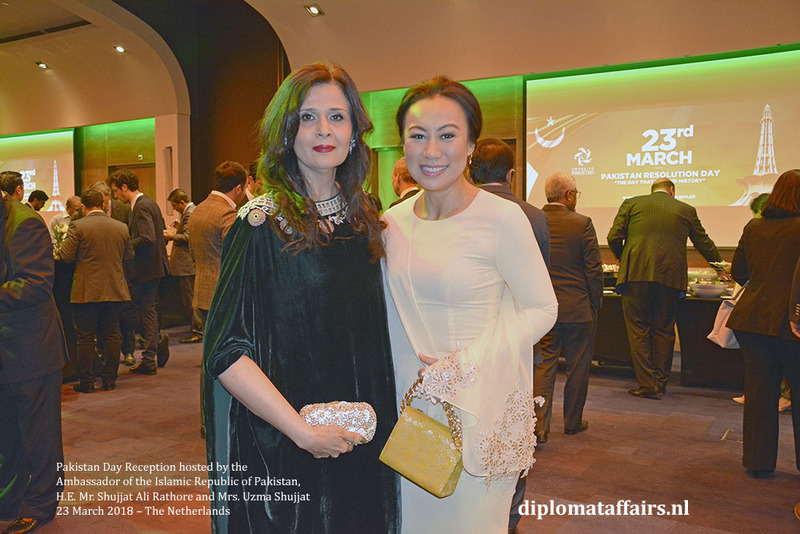 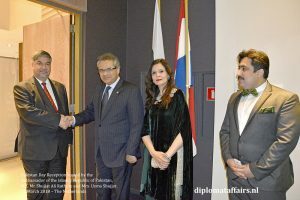 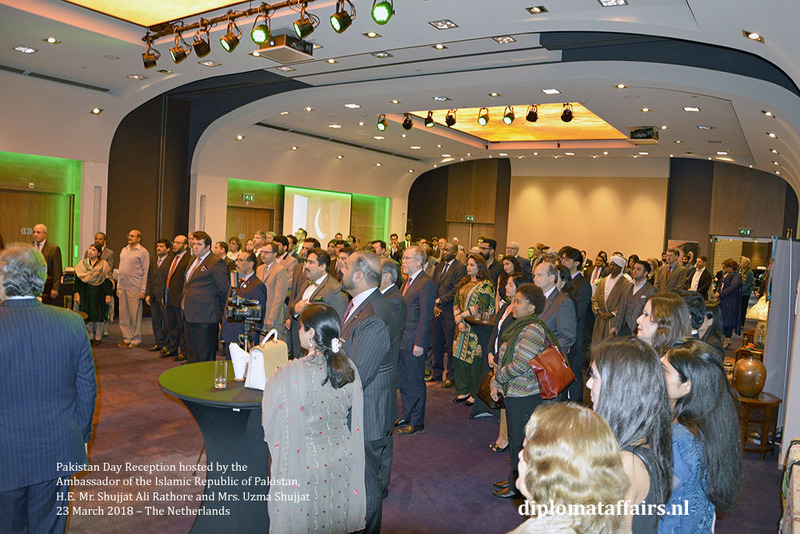 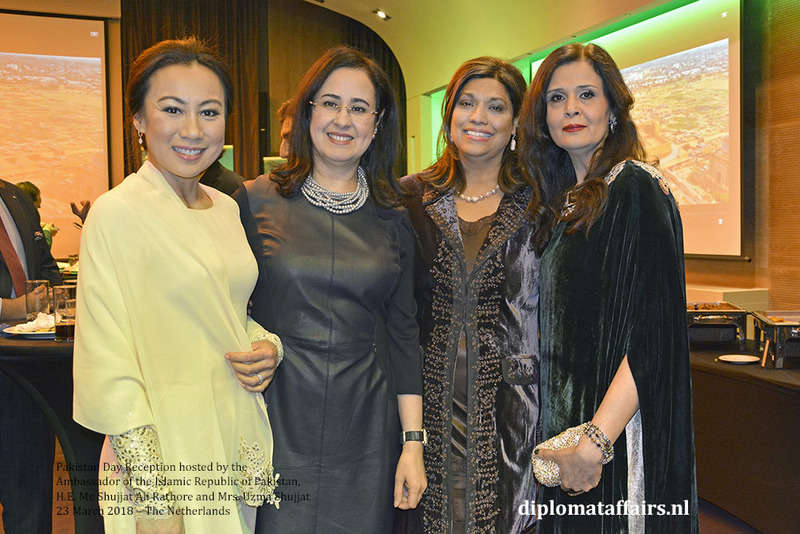 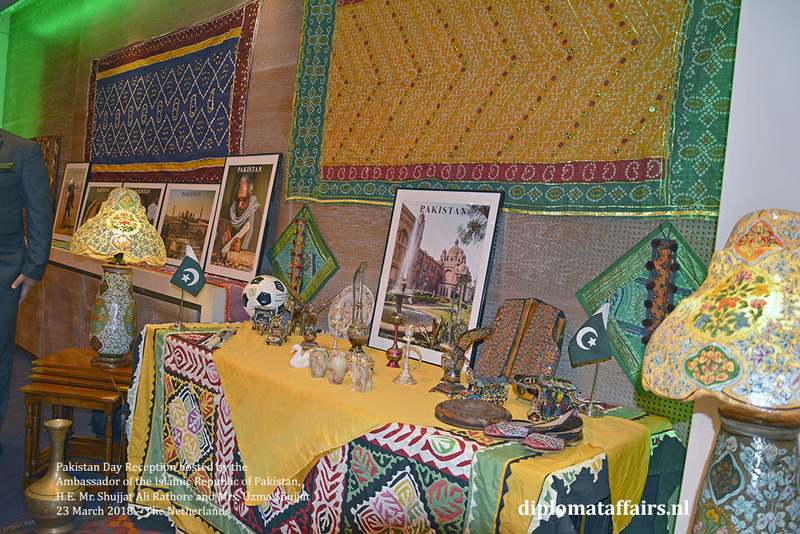 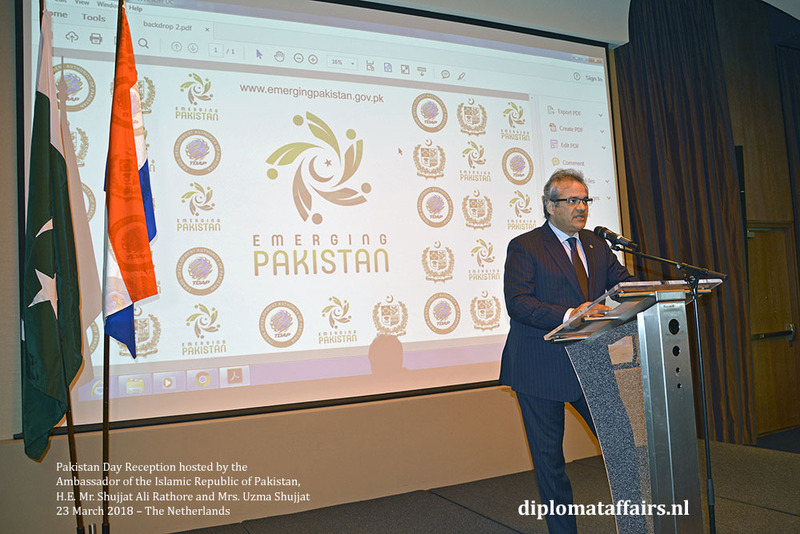 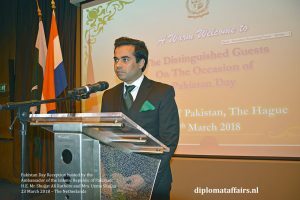 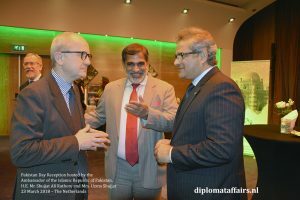 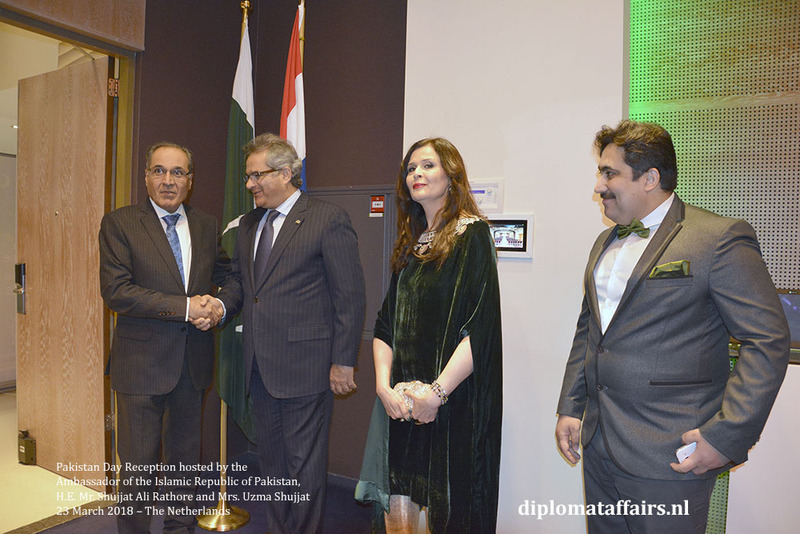 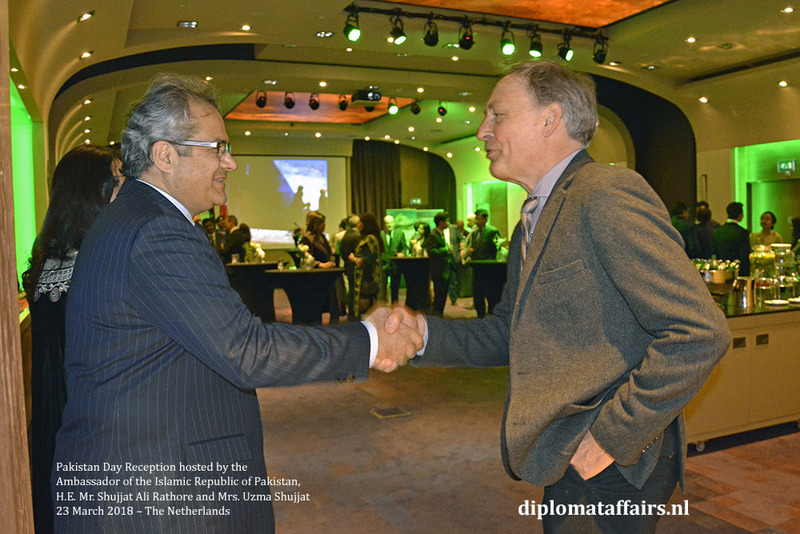 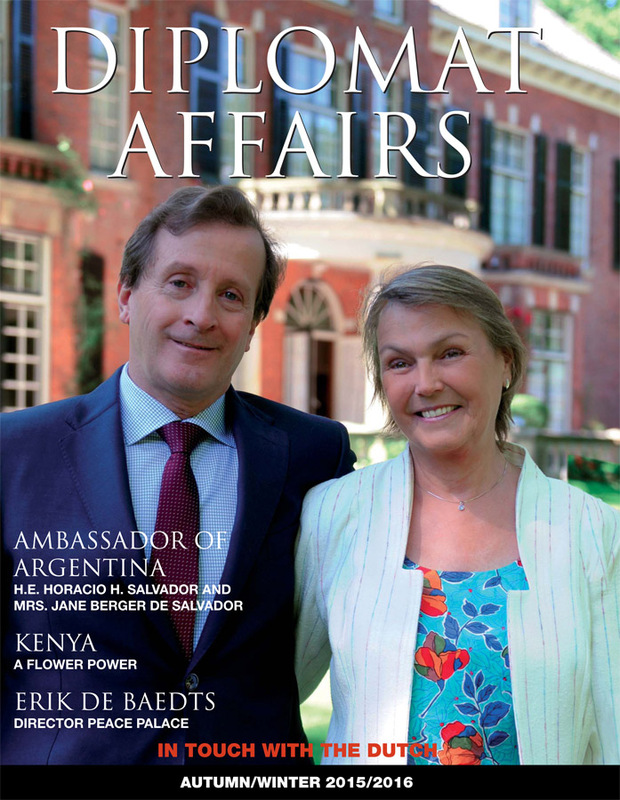 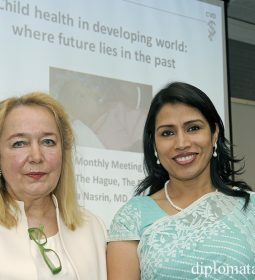 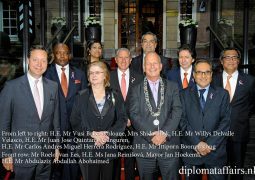 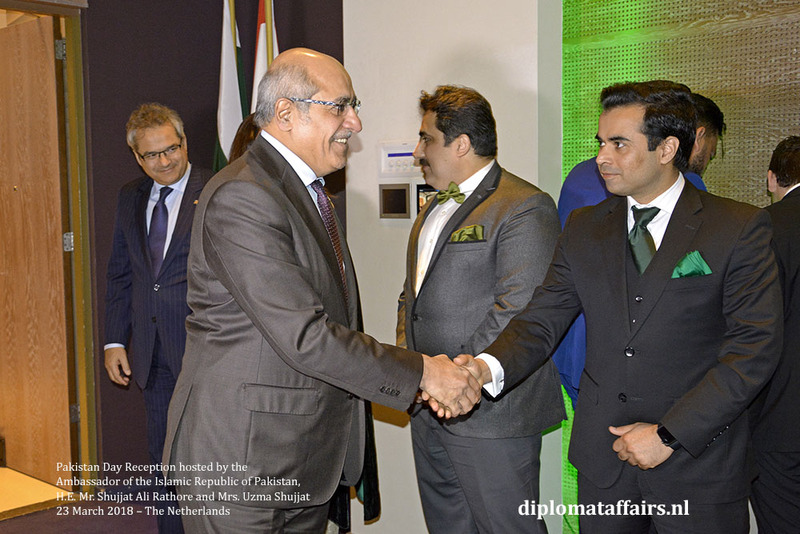 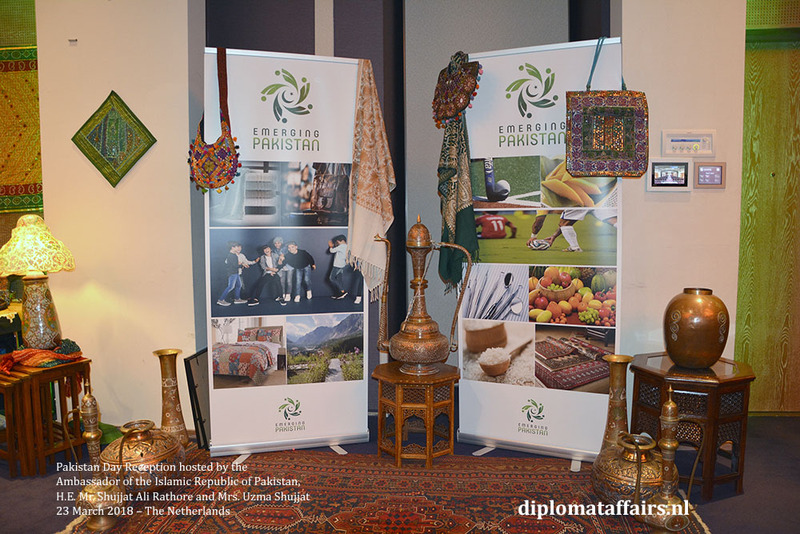 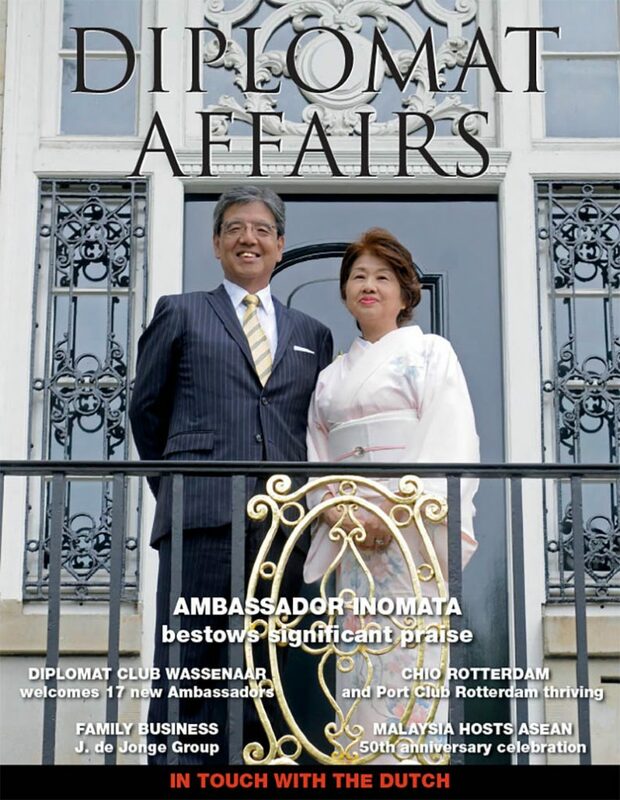 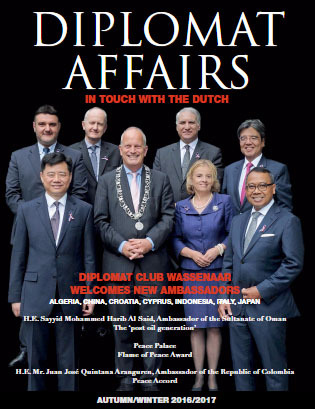 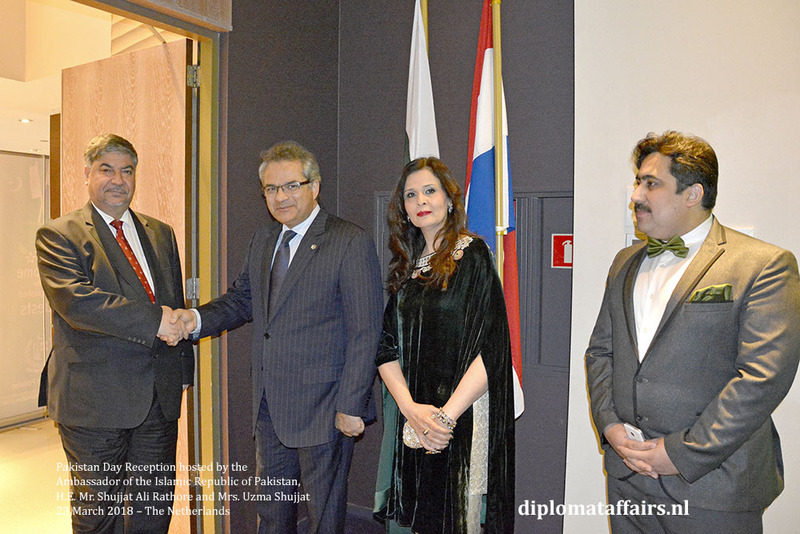 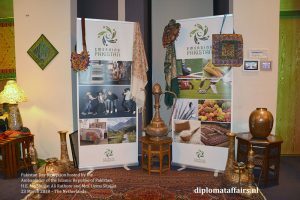 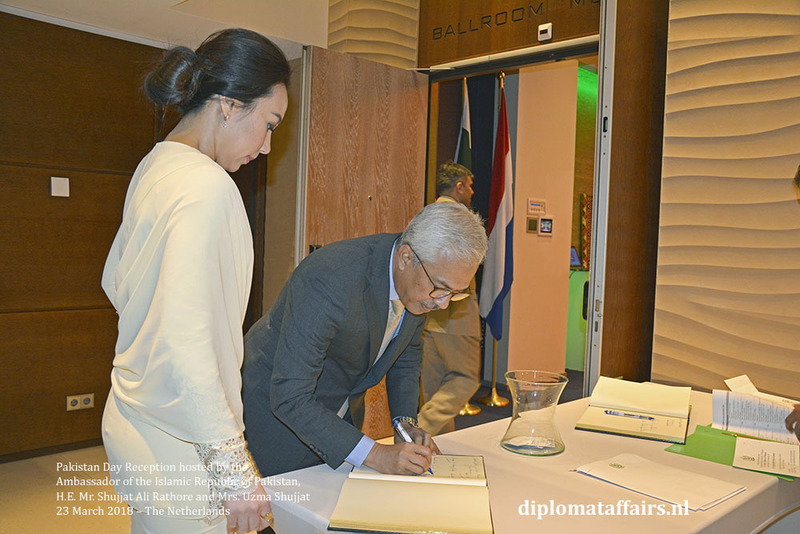 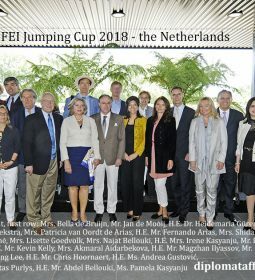 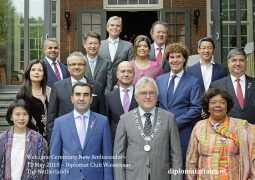 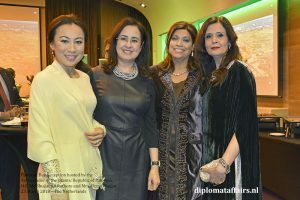 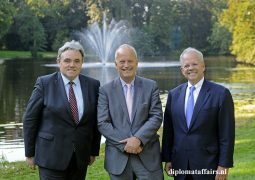 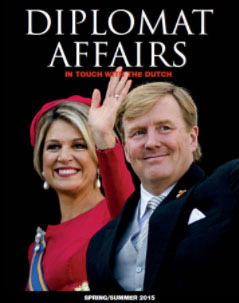 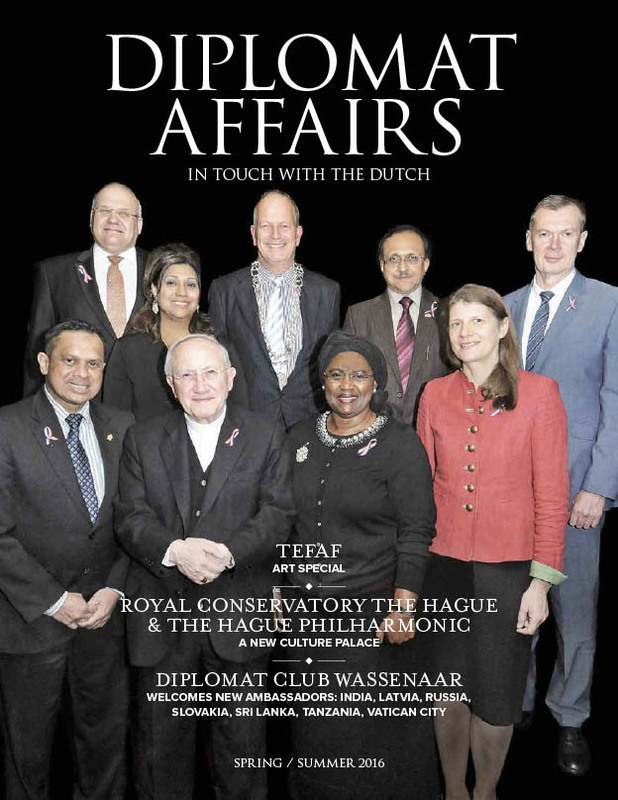 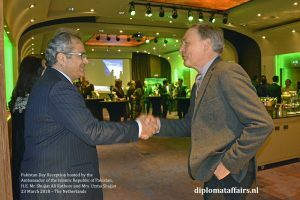 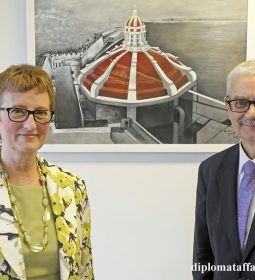 The Ambassador of the Islamic Republic of Pakistan to the Kingdom of the Netherlands, H.E. 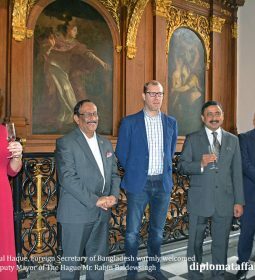 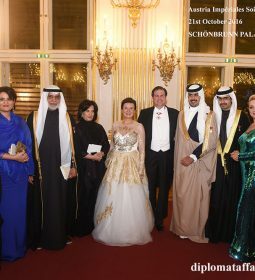 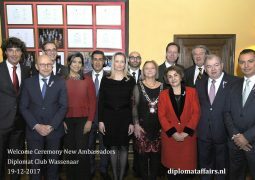 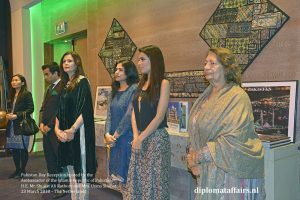 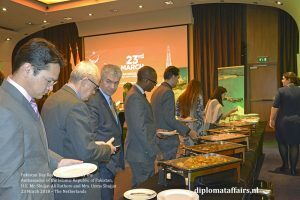 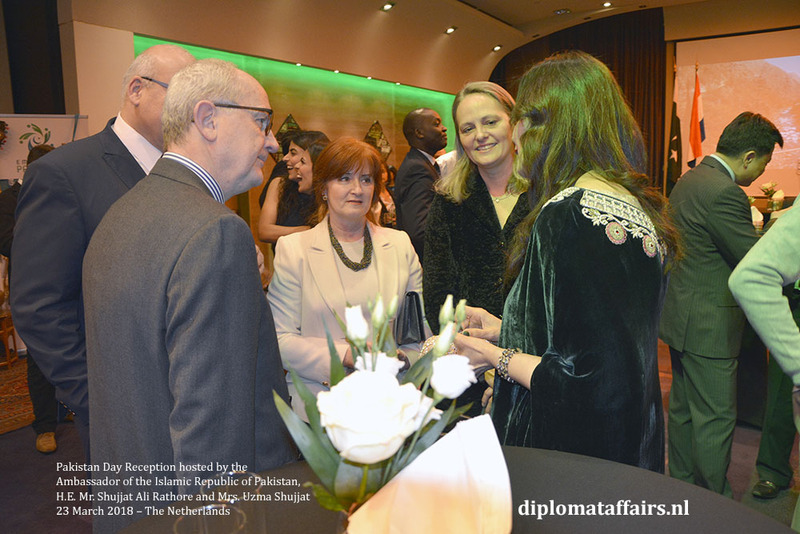 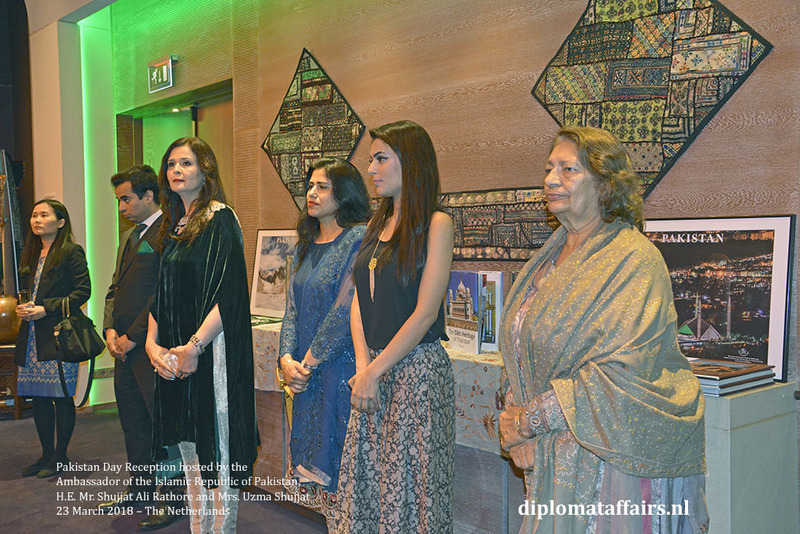 Mr. Shujjat Ali Rathore and his charming wife Mrs. Uzma Shujjat warmly greeted the Diplomatic Corps, prominent representatives of political and business circles, as well as international organizations on March 23rd 2018. 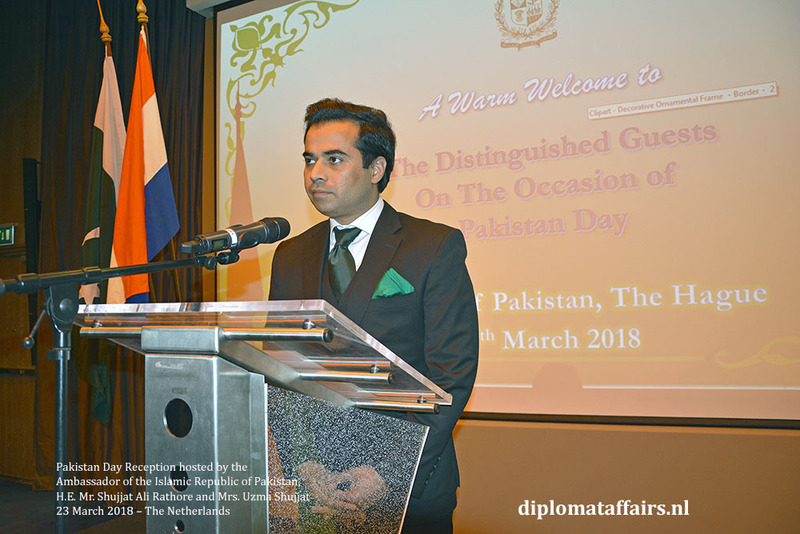 Thanks to the large video screens, guests were transported to this beautiful country, so vibrant in colour, and not only the colours are vibrant but as His Excellency emphasized in his opening speech: Democracy is also vibrant. Ambassador Shujjat Ali Rathore reminded us of the struggle the creation of Pakistan had been and how hard all segments of Pakistani society have worked to keep the democratic system alive and bring it to where it is today. Guests were treated to a delicious array of mouth-watering national dishes, including exotic drinks.